This article was published by ComputorEdge , issue #2747, 2009-11-20 , as a feature article, in both their PDF edition (on pages 9-21) and their website. It was my 200th article for ComputorEdge . It was cited in Wikipedia, the world's preeminent encyclopedia. During the shopping season that seems to take over our lives in December, shoppers go online to find bargains, gift ideas, and old favorites. With the click of a mouse, they can skip from one store to another, bestowing holiday cheer — or at least holiday bonus dollars — on one online merchant after another. Most of the shoppers will focus the majority of their attention upon the proffered items, with a consumer's perspective. But some among them will land at a particular online store, and pause, if only for a few moments, and wonder to themselves, "Could I do what this merchant is doing? Could I sell goods worldwide, 24 hours a day, making money even while sugar plums dance in my head? How difficult is it to set up a virtual shop? What are the advantages and disadvantages? How difficult would it be to accept credit card payments? Would such an operation make for an ideal side job, perhaps even flourishing into a full-time job? Could I thereby fulfill my lifelong dream of running my own business, and keeping the profits, instead of my employer doing so?" There are countless questions that a prospective online merchant might ponder. But in this day and age of feature-filled shopping cart systems, low-cost domain names, reliable Web hosting services, and an endless supply of freely-available advice on effective online marketing, it is so much easier to build a successful virtual store, versus years ago when the Web was just getting started. 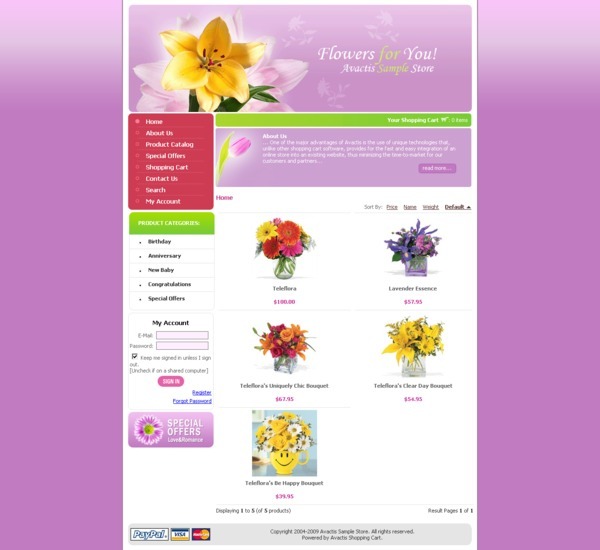 A key component of such a business, is the shopping cart system chosen. These systems come in all shapes and sizes, as well as price tags, i.e., a license fee. There are some shopping cart systems that charge no fee whatsoever, but they invariably offer no technical support from the company itself. Rather, support takes the form of spotty online documentation and forums populated with a range of characters, including many equally confused users seeking help. Other systems are quite expensive, though they try to compensate for this by offering most if not all of the features that a merchant could ever want, as well as plenty of technical support — sometimes even including access to the company's own software developers, who really know the system, and how to troubleshoot or customize it. These are prebuilt systems. Another costly approach is to pay a developer to build you a shopping cart system from scratch. But given the quality and variety of available systems already developed, paying for someone to reinvent the wheel would be expensive, time-consuming, and potentially risky. Web developers such as myself, who work with online merchants, would — or at least should! — never advise a client to build anew what has already been built. The third broad category of shopping cart systems are those that charge a modest fee, for which the merchant receives a fully-capable system that has been tested by the company as well as numerous other users. The level of technical support varies from one company to another, but the overall amount and quality of support and available knowledge is generally greater than for free systems. 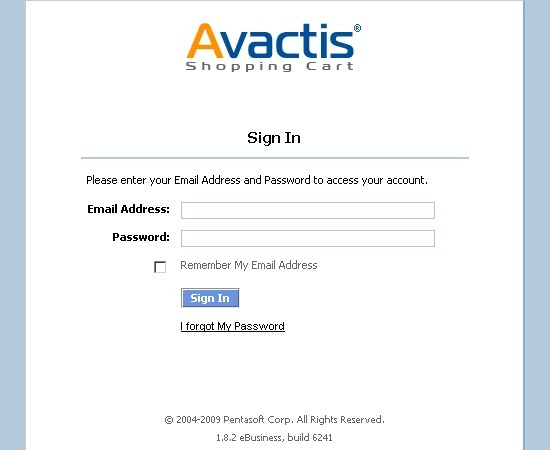 In this article, I will look at a shopping cart that is in this category, Avactis, from Pentasoft. 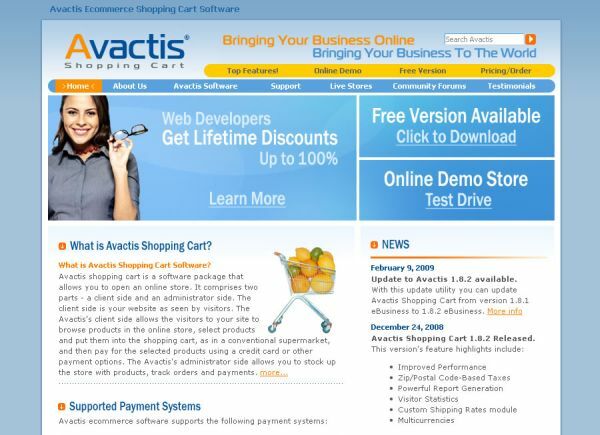 Avactis offers the standard features to be found in any decent virtual store: product listings, product details, user shopping cart management, categories, site search, user account, special offers, etc. On the company's site, they boast that Avactis allows for quick and easy storefront customization, including multiple designs and theming options. In addition, they state that Avactis can be integrated into an existing merchant site, which is a rare capability among the competition. Even though there is a licensing fee ($199 one-time, or $19.95 each month), you can try out Avactis at no charge, to see if it meets your business's needs. First go to their free product page, enter your name and email address, click the blue button, and you will be sent information for downloading the installation file. Save that to somewhere on your computer where you can find it later. The downloaded file is a Zip archive file, so open it up and save the contents into a new Avactis directory within your Web server's root. The entire Avactis installation on disk comprises 4326 files in 1070 directories, and requires about 19 megabytes of hard disk space. This example is using test values only; you should use a far more secure password for any production installation. 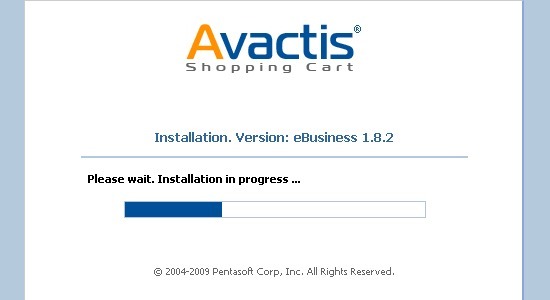 Point your Web browser to the Avactis index.php, which will begin Avactis's installation process. For instance, if you had named the Avactis root directory "Avactis" and had placed it in the root directory of your local Web server, then the URL to use would be "http://localhost/Avactis/index.php". You can even leave off the "index.php" if your Web server has been configured to look for that file name as a default. At the installation start page, click the blue button to begin the process. At the license agreement page, click the agreement checkbox and then the Continue button. 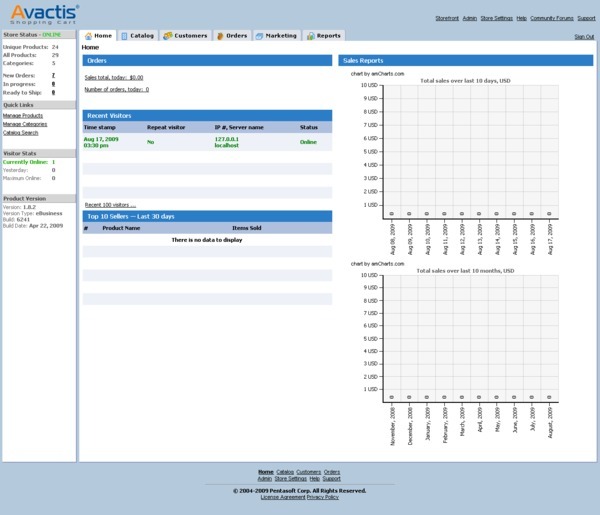 The third screen, shown above, is a critical one, because this is where you will enter the information needed by Avactis to connect to the database you had created earlier. The license key you would have received from Pentasoft. Be careful to only use lowercase letters for the Avactis admin account password, otherwise you may receive an error message. 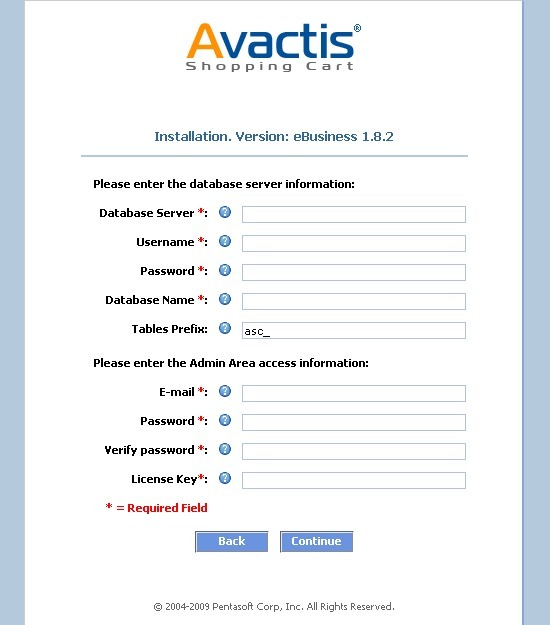 If all goes well, Avactis begins creating the tables within its database. After the database has been set up, the installation is complete, and you are shown the URLs for viewing your store, as well as logging in to administer it. 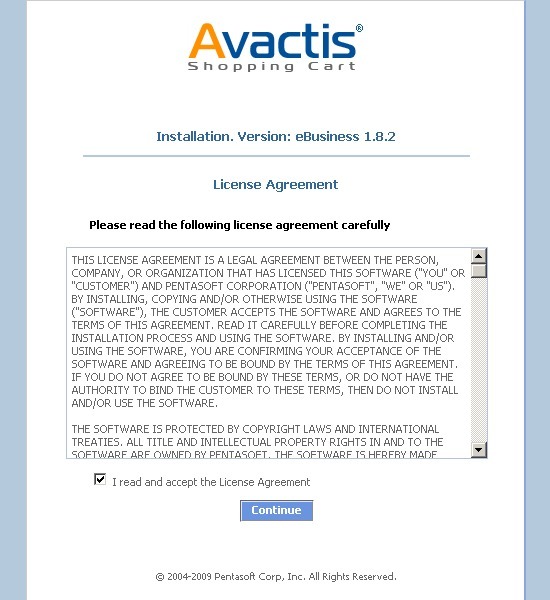 You should now be able to see the initial Avactis store home page, shown in the screenshot below. To access the administrative area, simply append the string "avactis-system/admin" after the Avactis root directory path. Continuing our example mentioned earlier, the URL would be http://localhost/Avactis/avactis-system/admin/index.php, at which point you will be at the login page. 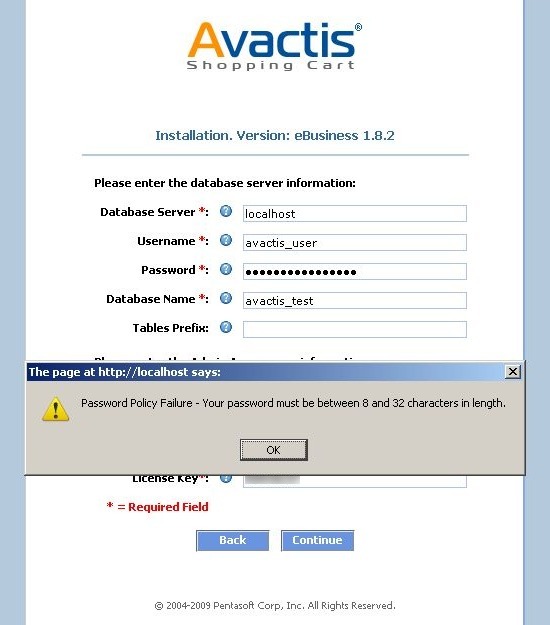 Login using the Avactis administrator username and password that you specified during the installation process. Once inside the administrative area, you will be on the Home tab, which shows you high-level statistics of your store, such as the number of products, categories, orders, visitors online, and daily sales numbers in chart form. 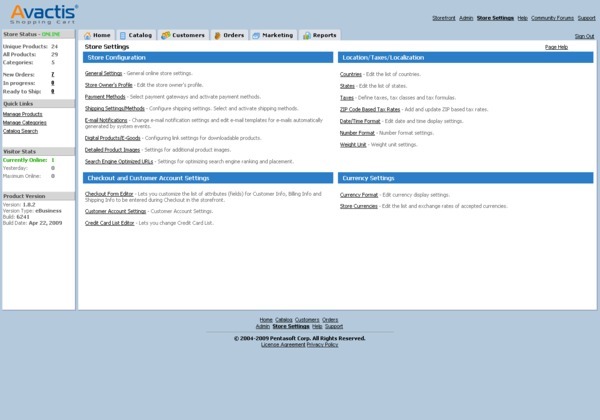 In the navigation area on top, you will see additional tabs for Catalog, Customers, Orders, Marketing, and Reports. To the right of that area are several links, the third of which takes you to the store settings page, which has links to all sorts of pages for managing such critical details as payment and shipping methods, digital products, search-engine-friendly URLs, and much more. 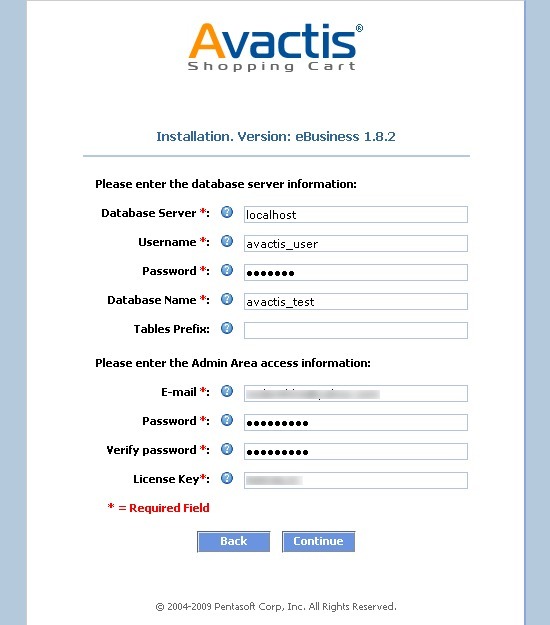 When you are ready to deploy your Avactis store on the Web, upload all of the contents of the Avactis directory into the root directory of your remote server. Then export the Avactis database on your local computer into an SQL file, and import that into your remote MySQL server. 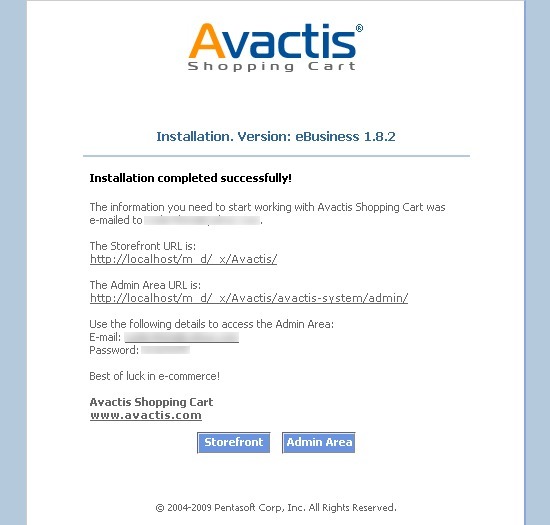 Finally, test the Avactis store as well as the admin panel, to verify that everything is working. If all goes well, you should now be the proud owner of a new online store, ready for products to be added. If you need additional assistance, either request the help of a professional programmer or check out the Avactis user manual and online support forums. 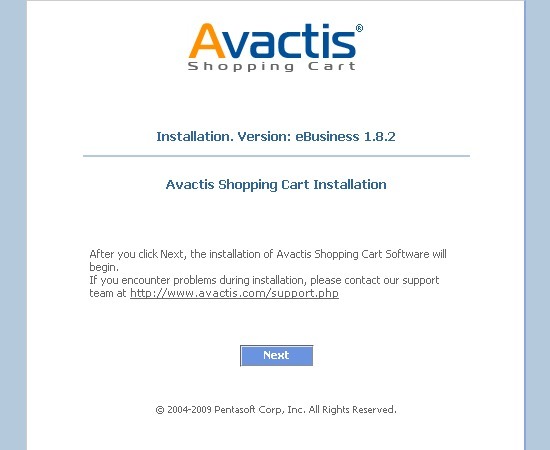 My only criticism of Avactis, at this point, is that it uses HTML tables for page layout, which has many disadvantages, though none that would prevent your store from functioning. We can only hope that in the future they improve the rendered HTML, and use divs and CSS for layout. If you choose to create a virtual store using Avactis, then during the holidays you could end up making more money than you spend!